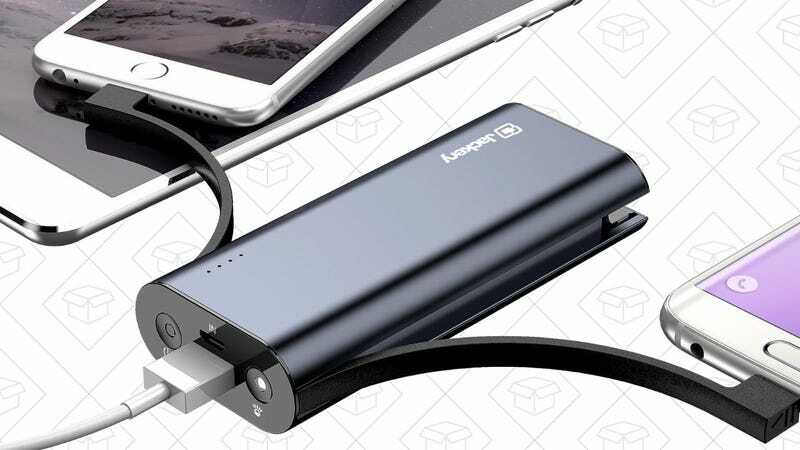 Jackery, despite the silly name, makes many popular and well-reviewed USB battery packs, and their two newest models just got solid launch discounts. The Jackery Bolt (pictured above) is a little expensive at $20 for 6,000mAh, but it includes a built-in Lightning and microUSB cable, so you won’t have to worry about carrying a spare. If you’re the forgetful type, that’s well worth the price premium. 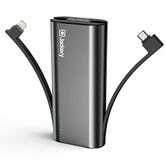 Meanwhile, the aptly named Jackery Titan is built around 20,100mAh of capacity, and includes both Quick Charge 2.0 and a USB-C port for charging the latest phones and laptops at full speed. 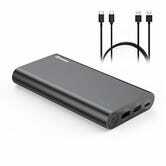 It doesn’t include built in cables like the Bolt, but at $36, it’s priced very competitively.